I love attending K-pop events! I always feel like I fit in because people all share a common interest. Not a lot of my friends are into K-pop so I often feel like the strange one, especially when I force them to watch some videos that I like or make them listen to a song that I like. But it's always different whenever I'm with people that like K-pop as well. 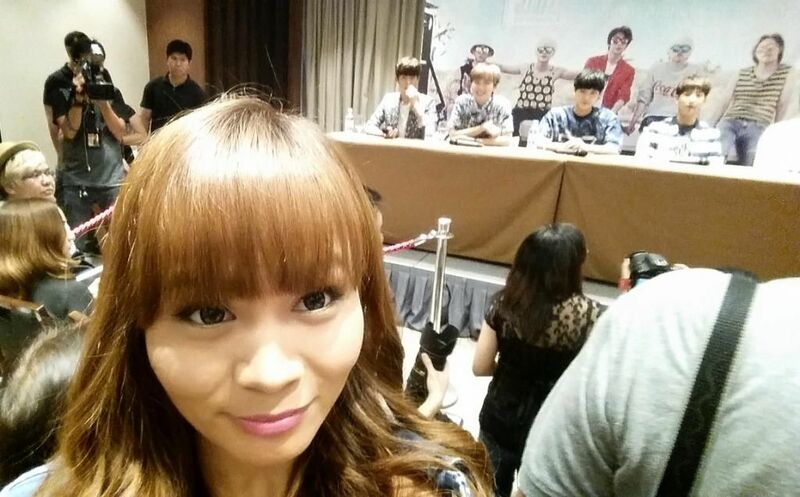 Today I attended another fun K-pop event! 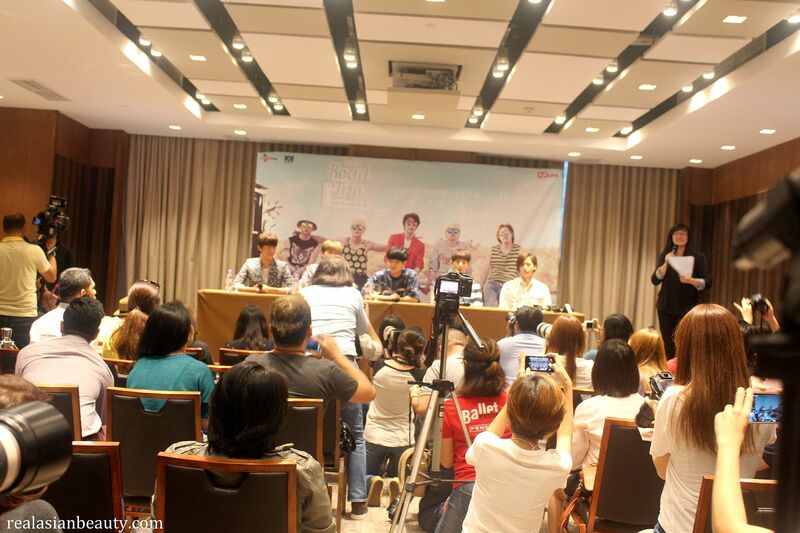 B1A4 will be having their first ever solo concert here in the Philippines; they had a press conference a day prior to the concert. Here's what happened! 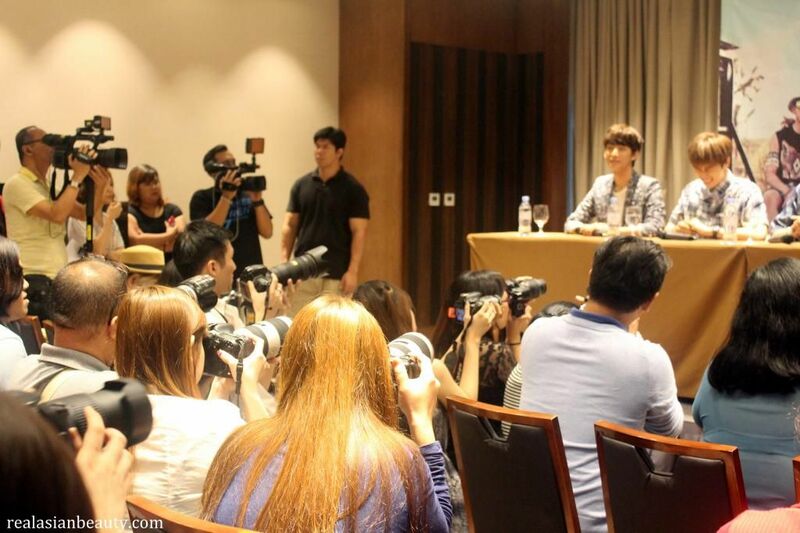 The press conference was held at the Marco Polo Hotel in Ortigas, Pasig. I really like how K-pop events organized by All Access Productions and Smart Araneta Coliseum are often near my home. 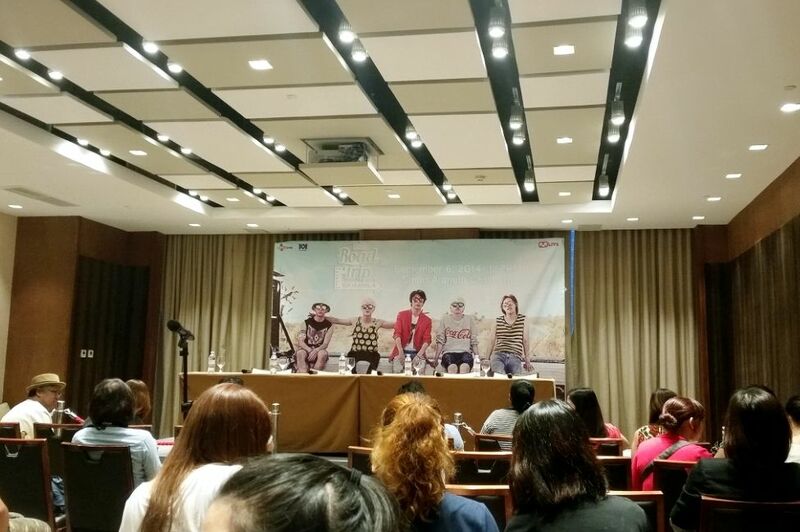 I always have a bitter-sweet feeling every time I attend a K-pop press conference! 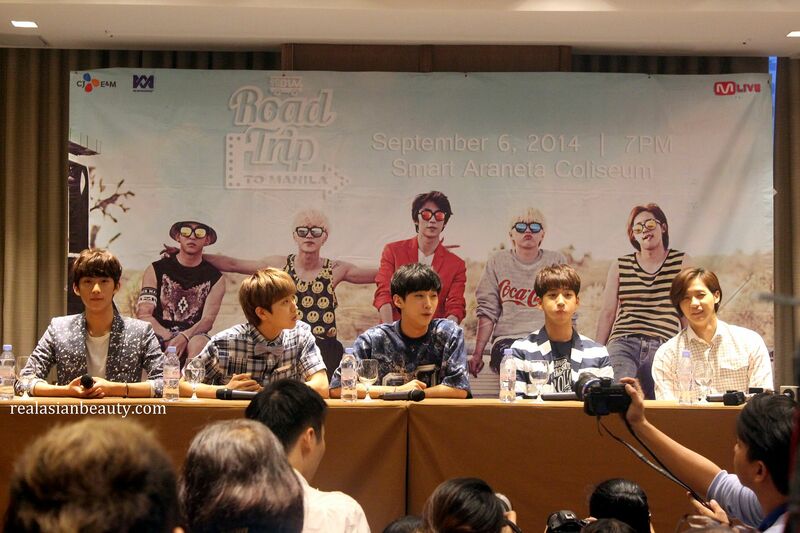 Do you remember the Infinite OGS Manila Press Conference that I really wanted to attend? Welp, I was not able to attend it. And it's ironic how I've attended a lot of press conferences before and after that but failed to attend the one and only event that I wanted to go to. Sigh. But I'm really grateful to be invited to events like this. I like meeting K-pop stars outside the concert stages. I like seeing how they respond to other people and interact with their fellow members. The boys were asked a couple of questions but I failed to record the entire interview. But I remember the boys were asked if they have any special nicknames or if there's any new nickname that they would like to use. 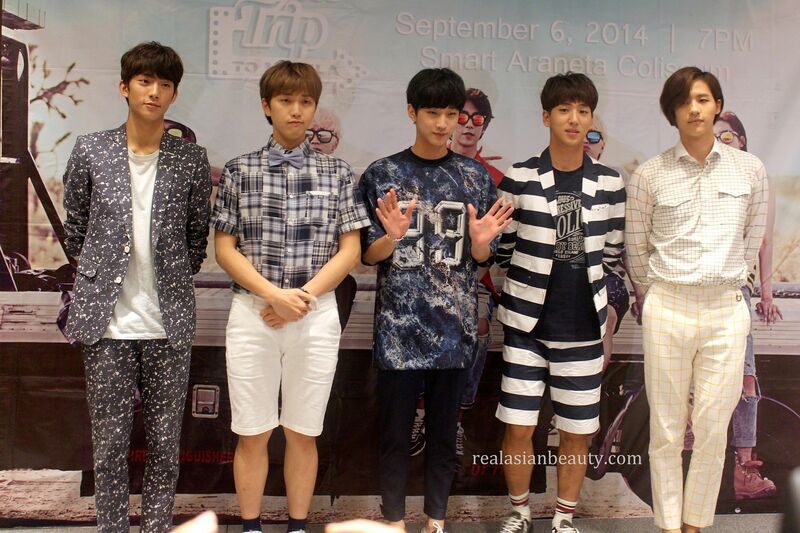 Baro said that he would like to be referred to now as "handsome boy". 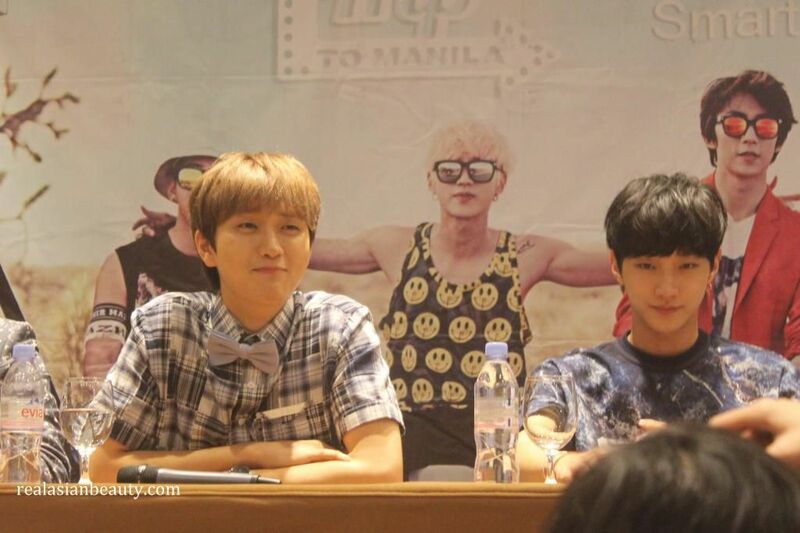 Sandeul, on the other hand, said that he would like to be called as "sharpeu guy". It was funny because at first he said "shampoo" so people were confused. Like, why would you want to be called as a "shampoo guy"?! haha. Apparently, he got confused between sharp and shampoo! I have to be honest, I did not know any of the boys prior to the event. 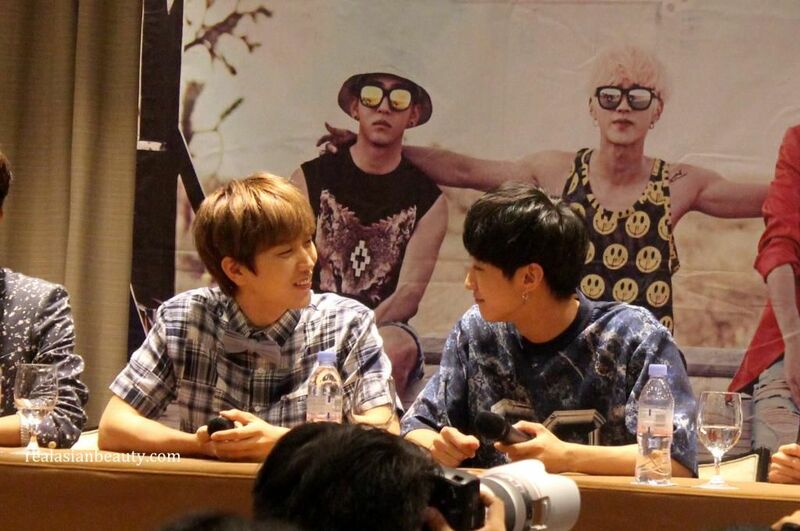 Well, I know Baro because of Reply 1994. 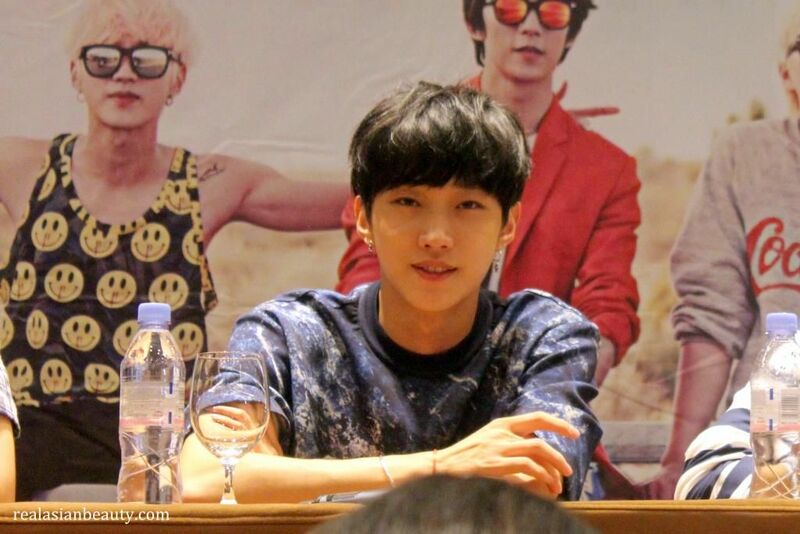 But this guy, turned out to be Sandeul, was the sweetest and most "fan-service-y" out of the 5 boys. He was all smiles the entire time! I'm not sure but I think he is the "cheesy" one in the group? This guy, turned out to be Jinyoung, caught my attention, too. He's just so cute! 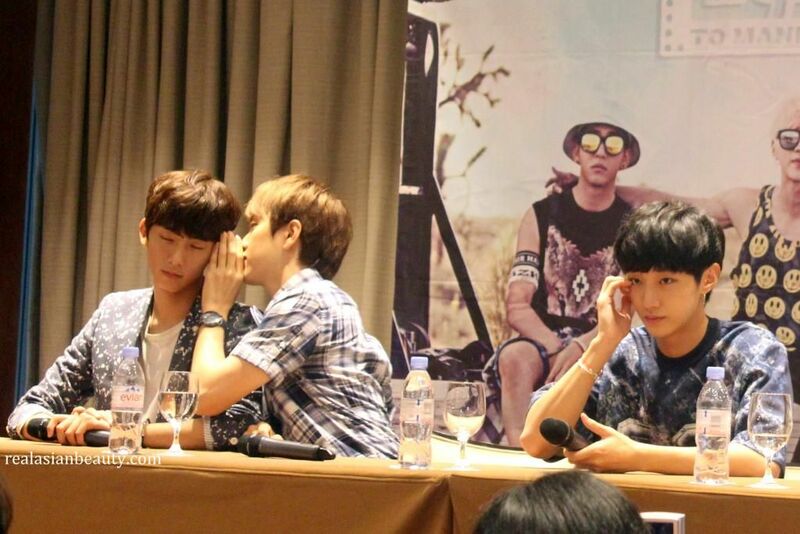 Oh, I also noticed that most of the boys in B1A4 have the usual small and monolid eyes. How cute! I like it when Koreans embrace their natural small eyes! 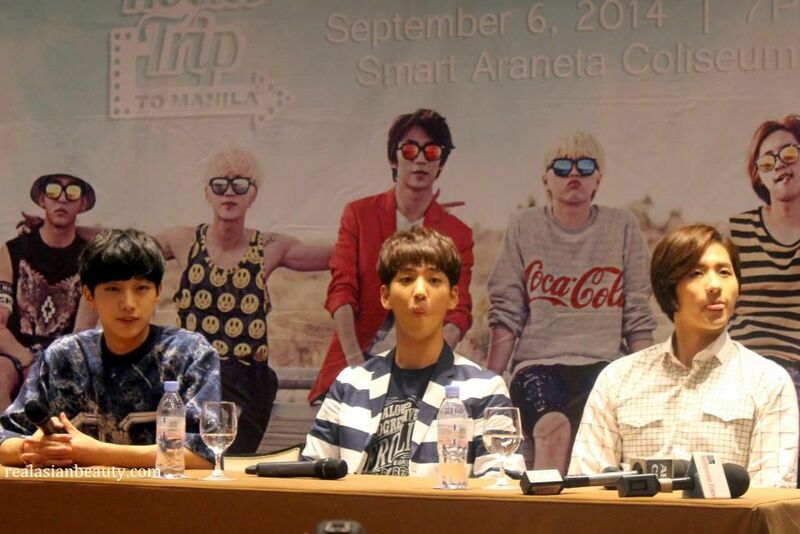 They were also asked if there is any particular place in the Philippines they would like to visit. 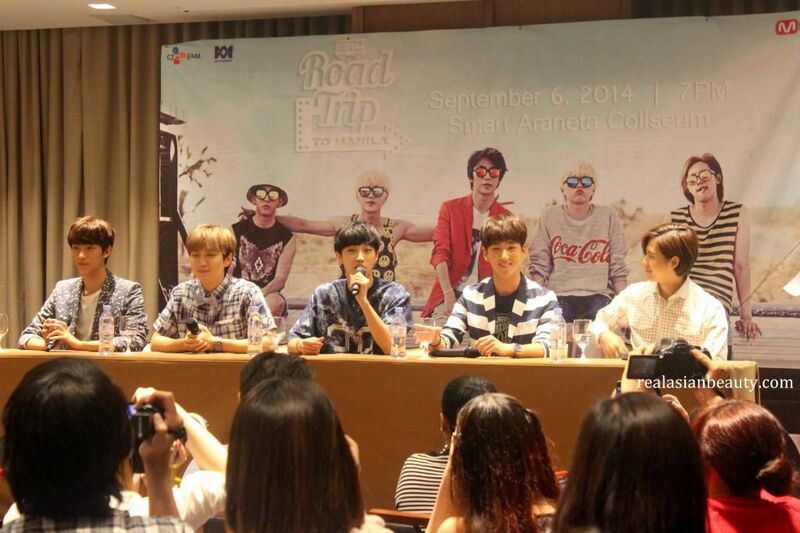 They said the usual K-pop answer "BORACAY" but Sandeul said that when he was searching Philippines on the internet, he saw a pretty waterfall and said that he would like to visit that one day. Before the press conference ended, they were asked to speak or to show an "aegyo" to the press by using their hometown dialect. Ah, it was so cute when they spoke in Satoori and said "jagiya" and "saranghae"! I was alone because my other blogger friends, Andy and Erika, couldn't make it to the event. So I was not able to ask anyone to take my pictures. Here are some semi-failed attempts to take a photo with the boys. 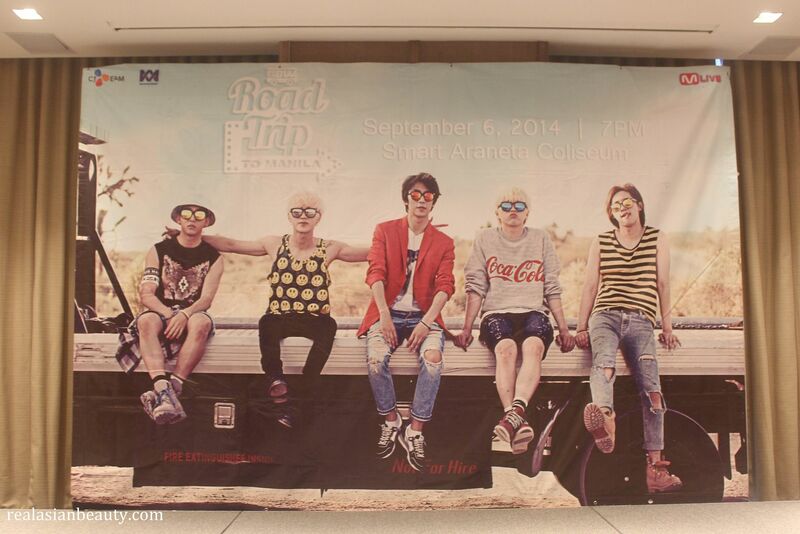 B1A4's Roadtrip to Manila will be happening tomorrow, September, 6, 2014 at the Smart Araneta Coliseum! 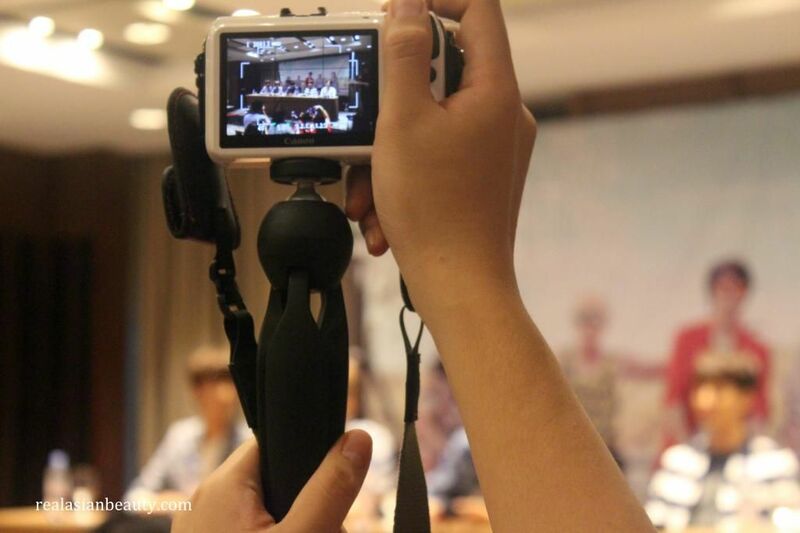 I hope to attend more K-pop Press Conferences in the future!